Screened-in porches provide a shady, insect-free environment for relaxing outdoors, and here in Georgia, we love the outdoors. You want to be certain that you are getting well-built deck that will both beautify and increase the value of your home. 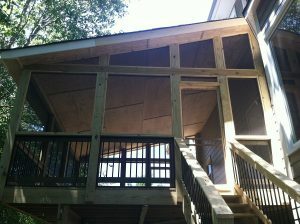 Porches are one of our specialties here at Hometown Construction.